I recently received a well-written email newsletter from a hard money lender that will make construction loans to complete partially-constructed commercial buildings. The loan officer did a brilliant job in describing the issues and difficulties facing a lender that wants to fund the completion of construction of a partially completed building. 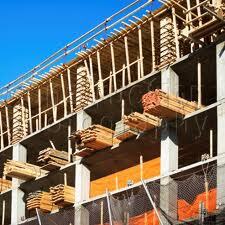 One of the most difficult loans to place for brokers is a loan on a partially complete structure. Traditional lenders avoid this property type because of the many complications involved. These complications have largely to do with the possibility of a mechanics lien from an unpaid contractor or contractors. As you may or may not know, a mechanics lien takes precedent on the property’s title, even over a first position lender. Having another entity in front of a lender is a nightmare scenario and it’s a situation they avoid at all cost. Fortunately we have the experience to deal with this and we’re comfortable lending on most partially complete properties. The bulk of the work to underwrite such a loan is to contact the contractors on the project to determine the status of monies owed to them. It’s critical that we know every contractor who worked on the project, if they are owed a balance on their work and when the work was completed (contractors have a limited time to file a lien against a property and sometimes forget to do so in the time allowed). We also need to verify by inspection that the claimed work has been completed. If it has, we can include funds to pay the contractor in the construction budget going forward or obtain a lien waiver from the contractor who may be willing to wait to get paid. All of this requires a great deal of legwork. It also requires that your borrower have the information on hand to provide to us (and that it’s complete and organized). A list of all the contractors who worked on the job (including sub-contractors) would be on the checklist we would send you. If you can provide that information, we can offer you a potential way to fund a class of loans few other brokers can. If you have a commercial loan request to finish a partially completed construction project, and you would like to contact this lender (it is NOT Blackburne & Sons), please email me, George Blackburne III, at george@blackburne.com , and I'll arrange an introduction. Please type, "Partially Completed Construction" in the subject line. I charge a 50 bps (a half-point) fee, if the deal closes, for hooking you up with this lender.